Oregon has created a retirement savings vehicle (a Roth IRA) for employees whose employers do not offer an employer-sponsored requirement plan. Oregon has created a retirement savings vehicle (a Roth IRA) for employees whose employers do not offer an employer-sponsored requirement plan. Beginning on November 15, 2017, employers with 100 or more employees must register with the state, create an account, and if the employer does not provide retirement benefits, provide information about each employee so the state can set up Roth IRA accounts for each employee. After registration, employers’ role is limited: Employers must provide information about OregonSaves to employees (including information about other options, the employer’s role, and the tax consequences of the program), and make payroll deductions directly into the Roth IRA accounts administered by the state. Employees will be automatically enrolled and have options regarding the amount and allocation of funds deducted. 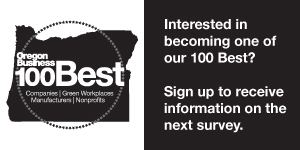 Employees who do not wish to participate in OregonSaves will need to opt-out. The timeline for registration of smaller employers is as follows.